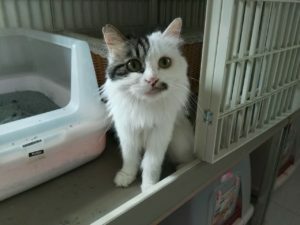 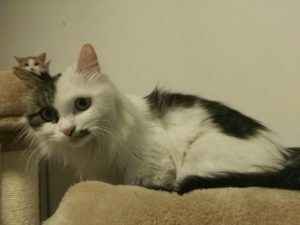 She is a sweet girl but not so lucky, as her owner abandoned her to us due to she is going to have baby of her own and all the family member think it is too dangerous to live with a cat. 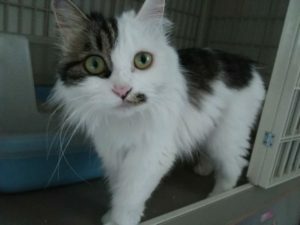 Apple seems not so sad when arrived as she can play with other cats. She turns out a cat head among the group, taking care of young kitten, and licks other cats like a big sister.